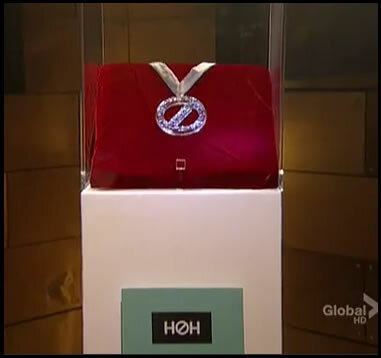 The Diamond Power of Veto or “DPOV” for short is one of 2 game changing powers present in the Big Brother game. It’s been seen twice, first introduced during season 4 and again in season 12. 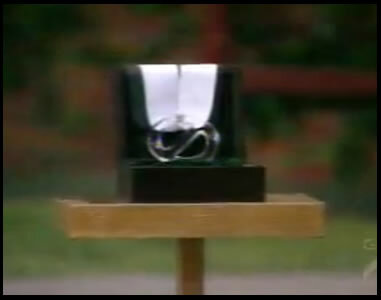 During Big Brother 4 the diamond power of veto was awarded in the place of a regular Golden Power of Veto (Episode 28). This happened During final 4 so it was essential the same as a regular “Golden” Power of veto because there was only one possible person to put up for eviction. Alison Irwin and Jun Sung were nominated for eviction but Allison won that weeks POW and thus received the DPOV. She used the DPOV to save herself resulting in there being only one choice of house guest to put up against Jun, that was Erica. The second time we saw the power was mid way through Big Brother 12 when Matt Hoffman the HOH at the time was awarded the power after opening Pandora’s Box (one of the best Pandora’s boxes to date). This DPOV turned out to be a bit different than season 4 because it was introduced early in the game. Matt went on to use the Diamond Power of Veto to safe himself and get rid of the weakest player in the game, Kathy Hillis. Even though the DPOV is hugely powerful it’s never been used to its fullest like the coup d’etat has. 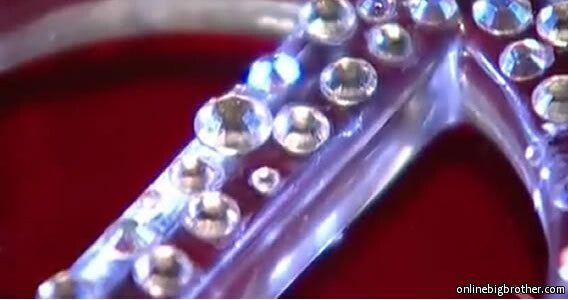 What does the Big Brother Diamond Power of Veto Do? The DPOV essentially allows the wearer to override ONE of the HOH nominations and appoint whoever they want up for eviction. Compare this to the regular Power of Veto where the winner can save one nominee but the Head of Household gets to choose the replacement nomination. Lets say Matt was awarded the DPOV. Brendon is the winner of Head of Household, His nominations are Matt and Ragan. The regular POV contest is played and Ragan wins the Power of Veto. During the POV Ceremony Ragan uses the Power of Veto and removes himself from being a nominee. Brendon being the Head of Household has to nominate another player for eviction. He nominates Lane, Now Lane and Matt are up for Eviction (Remember that Matt still has the DPOV) During the Live Eviction show right before the house guests vote for who is sent home Matt uses the Diamond Power of Veto. He is then removed as a nominee and he now has the ability to nominate another houseguest instead of Brendon. Matt makes a power move and nominates Kathy. The holder of the Diamond Power of Veto may not select either the Head of Household or the regular Veto holder as a replacement.